Vitamin C is an important water-soluble vitamin that helps the body form and maintain connective tissue such as bones, blood vessels and skin. It is found abundantly in various fruits and vegetables. Vitamin C is an important water-soluble vitamin that helps the body form and maintain connective tissue such as bones, blood vessels and skin. It is found abundantly in various fruits and vegetables. 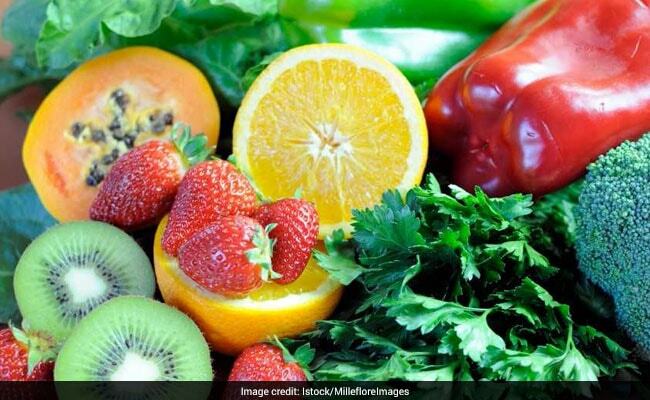 According to a study published in the journal Nature, boosting daily requirement of vitamin C may be helpful in curbing the development of blood cancer or leukemia. Previous studies have shown that people with lower levels of ascorbate or vitamin C content are at an increased cancer risk; however, the reasons are still not fully understood. The study suggests that stem cells in the body soak up unusually high levels of vitamin C, which then regulates the cell function and suppresses the development of blood cancer. "Stem cells use ascorbate to regulate the abundance of certain chemical modifications on DNA, which are part of the epigenome," explained Michalis Agathocleous, from University of Texas Southwestern Medical Centre. "The epigenome is a set of mechanisms inside a cell that regulates which genes turn on and turn off. So when stem cells don't receive enough vitamin C, the epigenome can become damaged in a way that increases stem cell function but also increases the risk of leukemia," Agathocleous added. The study findings suggest that how vitamin C affects an enzyme called Tet2 which may be a reason of the formation of leukemia. The findings have implications for aged patients with a common pre-cancerous condition known as clonal hematopoiesis that puts the patients at an increased risk of developing leukemia. "One of the most common mutations in patients with clonal hematopoiesis is a loss of one copy of Tet2. Our results suggest patients with clonal hematopoiesis and a Tet2 mutation should be particularly careful to get 100 per cent of their daily Vitamin C requirement," said Sean Morrison, Director at the varsity. Adding vitamin C to your daily diet can help get rid of various ailments. Include oranges, lemon, red peppers, kale, broccoli, grapefruit, guava, papaya, strawberries and tomatoes among others.